Tucci's Guide from Italy. Sent 24 Jan 2011. The shop is open again (and I think it wasn't closed for cocaine smuggling, otherwise it would have been closed forever). Anyway, this is a great shop in a nice and quiet area of Amsterdam. 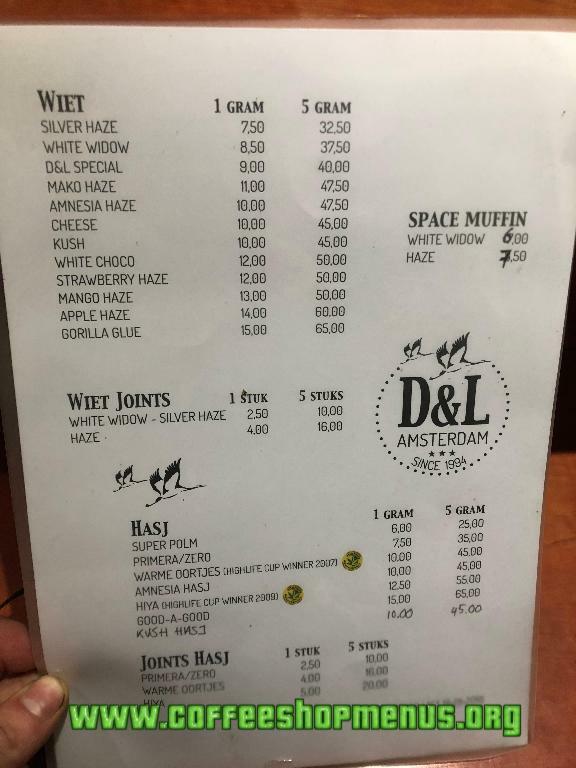 The quality of weed is at the top, with a large selection of weed (WW, SoGouda, SSHaze, Chocolope, Casey Jones just to give an example) and hash (Hiya, Warme Oortijes) and the prices are really cheaper than in the center. They start from 6.5euro per 1 gram of Silver Haze to 10euro per 1 gram of the strongest weed (for the Hazes and the tasty indica strains like Chocolope and Casey Jones). The other nice thing is that they have discounts on multi-grams purchase: if you buy five grams of any kind of weed, you'll have five euro discount! So, what to say more? The guy at the counter is kind and professional, and will show you every strain. The shop itself it's quite anonymous, but it's not bad to grab some good weed, have a coffee and go! Bedge from England. Sent 25 Apr 2009. Closed for 2.7 grams of coke. Don't know if it was a customer or the owners or staff that had it. Bad news all the same. Stan Da Man from Amsterdam. Sent 15 Dec 2008. I gonna like this shop. It is multicultural locals shop. The owner is very cool and nice, I gave him 10 euros he gave me a big bag of Silver Haze 2 grams or more and normally it cost 6.50 per gram or 11 euros 2 grams the Silver Haze. Ash333 from UK. Sent 23 May 2008. Great shop tucked away. Asked to see Silver Haze. Was presented with a huge but dripping in crysals tha i guestimated to be around 7 grams. When I asked how much this was he said 5 grams, which was 25 euros on the menu and I bought it, and was also given papers. I smoked 3 large joints, and when I weighed it back home it came up at 4.8 grams. Can't complain. Deffo coming back. Don't know much about sitting there as I bought and left as we were late, but it seemed to be fairly full of locals, which I take as a good sign. No woman in the shop though, which seems common in the Arabic places.